The chief executive of Nissan says it the was "the right decision" to sponsor the Rio Olympics, despite a slump in Brazilian car sales. Carlos Ghosn said there was a need to build a "much higher awareness" of the company's products in Brazil. When Nissan took the decision to back the games, the Brazilian market was booming with sales of 3.8 million vehicles a year. But a recession has seen that sales figure tumble to 2 million a year. "Without any doubt it's the right decision, the idea was to give more awareness to the Nissan brand," he told the BBC. The company's goal with the Olympics sponsorship is to help increase its market-share in Brazil from 3% to 5%, he said. As part of its sponsorship, Nissan is supplying 5,000 cars for the Games and the Brazilian Olympic team to use. 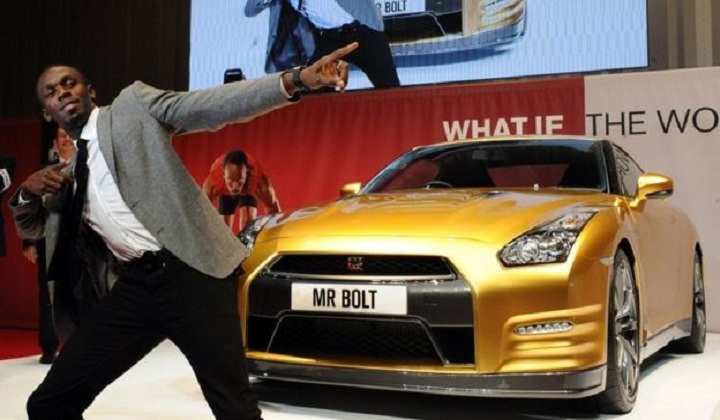 The company has used Olympic sprint champion Usain Bolt in its adverts since 2012. Mr Ghosn says the global car market will continue to be sluggish until 2019, with growth of just 1% next year. He expects the US car market to be strong, and sees Europe continuing to recover "even though it will be impacted by Brexit". The UK economy will see some contraction due to Brexit, "not because there is anything wrong with the UK, but because markets hate uncertainty," Mr Ghosn said. The company will be keeping a close eye on future negotiations over the UK's exit from the European Union. Nissan employs 6,700 staff at its plant in Sunderland in northern England. "We are reasonably optimistic at the end of the day common sense will prevail from both sides," Mr Ghosn said. The Nissan boss thinks that the UK will continue to be a "big partner" for the European Union, but he said: "The question is what will happen to customs, trade and circulation of products". "That will determine how, and how much we will invest in the UK," he said. Mr Ghosn said there was "no doubt" that prices for Renaults, and other cars made in Europe and sold in the UK, will rise due to falling value of the British pound. However, he thinks final prices will only be determined once the currency stabilises.